Wana prank someone? Pull a prank on your friend just like on these prank videos below! Fake Lottery Tickets will make your friends will faint after they think they have just won the ultimate $50,000 jackpot! These scratch off fake lottery tickets look exactly like the real instant scratch off tickets you see in stores! You may have seen these gag fake lottery tickets on the show "Americas Funniest Home Videos". 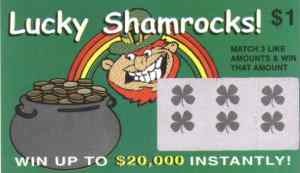 You will receive 2 Camelot's Gold Fake Lottery Ticket, 2 Lucky Shamrocks Fake Lottery Ticket, 2 Let 'em Roll Fake Lottery Ticket, 2 Fast Money Fake Lottery Ticket, and 2 Joker's Wild Fake Ticket. This is a great April Fools gag, birthday prank, or a dirty joke for the compulsive gambler! Our New full color fake lotto tickets look and feel completely like the real scratch tickets you would buy in the lottery stores. When people scratch off the front of the ticket, they'll be shocked to see they've won $10,000, $20,000 or even $50,000. Every ticket is an automatic winner! People can't wait to tell their friends the good news. But when they read the fine print on the back, they'll know they've been duped. Great way to fool friends, co-workers, or anyone who plays the lottery. Demand for these lottery tickets has been huge since we introduced them a while ago. 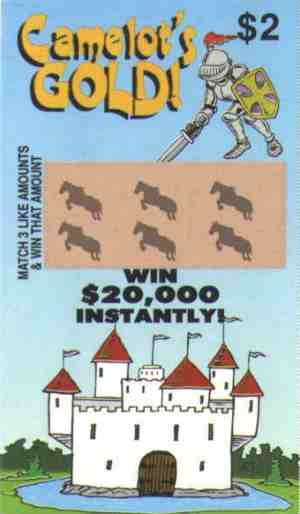 Order a set of these hillarious fake lottery tickets today. You will never forget the facial expression of the lucky person you give these fake winning tickets to! Order today and have a blast! On this fake lottery ticket, match 3 like amounts and win that amount! Win up to $25,000 instantly! Overall odds of winning 1:1,000,000. How to play - scratch entire gold play area, match three dollar amounts, and automatically win that dollar amount! Our fake lottery tickets are excellent prank gifts for your friends! This fake lotto ticket says match 3 like amounts and win that amount. Win up to $20,000 instantly! Overall odds of winning 1:1,000,000. How to play - scratch entire gold play area, match three dollar amounts, and automatically win that dollar amount! Our fake lottery tickets are excellent prank gifts for your friends! On this fake lotto ticket match 3 like amounts and win that amount. 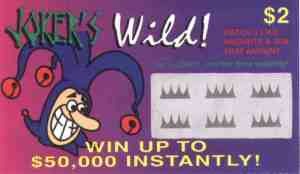 Get a joker, win that prize instantly! Win up to $50,000 instantly! Overall odds of winning 1:1,000,000. How to play - scratch entire gold play area, match three dollar amounts, and automatically win that dollar amount! Our fake lottery tickets are excellent prank gifts for your friends! With this fake lotto ticket match 3 like amounts and win that amount. Win up to $25,000 instantly! Overall odds of winning 1:1,000,000. How to play - scratch entire gold play area, match three dollar amounts, and automatically win that dollar amount! Our fake lottery tickets are excellent prank gifts for your friends! On this fake lotto ticket match 3 like amounts and win that amount. Win up to $20,000 instantly! Overall odds of winning 1:1,000,000. 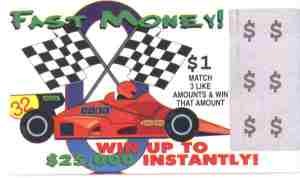 How to play - scratch entire gold play area, match three dollar amounts, and automatically win that dollar amount! Our fake lottery tickets are excellent prank gifts for your friends! All fake lottery tickets are WINNERS! Guaranteed to make your friends go crazy!! ONLY $9.95 TOTAL WITH SHIPPING!!!! 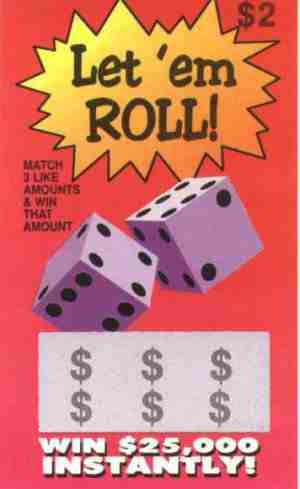 Your fake lottery tickets are guaranteed to be shipped same day you place order!